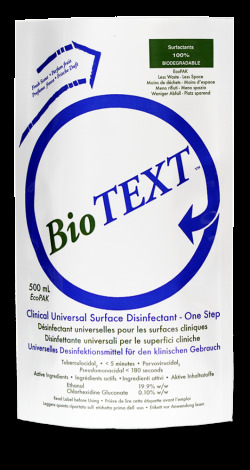 BioTEXT is the only clinical disinfectant specifically designed for use on delicate surfaces. It is proven to kill benchmark organisms on naugahyde, leather, vinyl and rubber surfaces. Ideal for tubing, fabrics, carpets, touch screens and soft plastic surfaces such as keyboards.